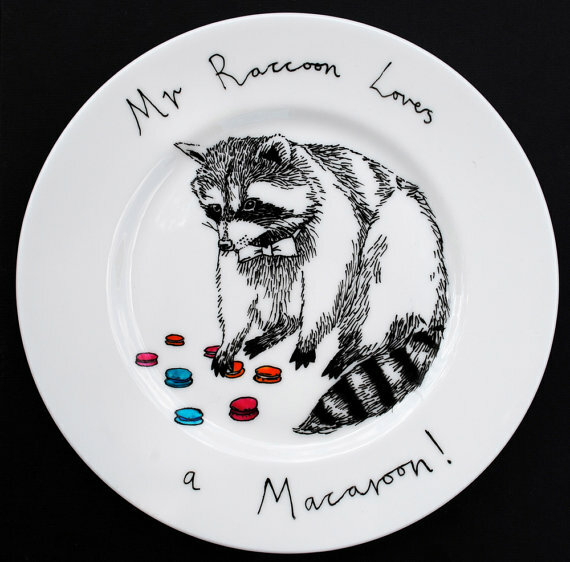 Photo: EtsySweet plate: Mr. Racoon Loves a Macaroon! Thanks Scott for the tip! Are you ready for this jelly? DIY jelly packs. Spider cake in a jar! Found via Not Martha. MmmmMolasses Ginger Cookie Ice Cream Sandwiches. Sweet treats, sweet cause: Cookies across America! Bakery I wanna visit: Alder Pastry in Portland. It's all about the cookie: a sweet behind the scenes look at Milk and Cookies! Pie a la mode: French Pumpkin Pie! Sweet vegan life: an interesting article on the rise of vegan bakeries. In case you missed it: photos from the CakeSpy book launch party! Also, don't forget: you still have a chance to win a CakeSpy book!